Festivals aren’t just a thing in the summer. Well, not in Rotterdam at least. This harbour city is famous for its great theaters, events and cultural programs happening all year round. 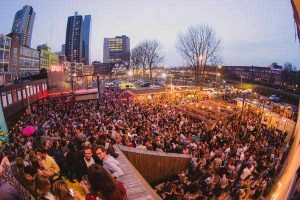 Here are top 5 Student Spirit things to do & places to chill (rather than catch a chill) in Rotterdam this winter! 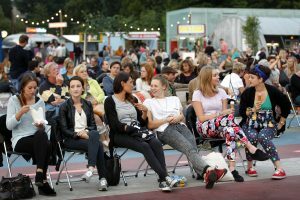 Pleinbioscoop is one of the most popular festivals in summer in Rotterdam. And now it has a winter edition as well! Order a hot cocoa, grab a blankie and watch classics movies that will warm your heart right up. Pleinbioscoop runs until January 5th. You can get your tickets here. Rotterdam just added its first New York-esque ice rink. IJsvrij is an open air ice rink in Het Park located next to Rotterdam’s Euromast, and comes with festive live music, wooden chalets & Christmas trees. 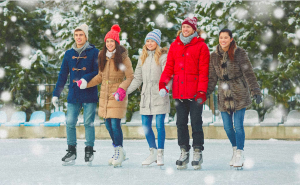 You can practice your pirouettes on ice until January 7th. Long dark days means more time to sparkle! The best way to enjoy the glow is to go on a romantic stroll through the city centre at night. It’s lit up with magical Christmas lights all the way from Coolsingel to Schouwburgplein, and everywhere in between! 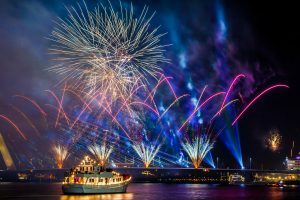 Enjoy the most beautiful fireworks with Rotterdam’s iconic Erasmus bridge in the background (for FREE). Usher in 2018 together with ten-thousands of other happy-go-lucky people during NYE! The event starts at 22:30. Wanna celebrate NYE without having to pay ridiculously overpriced entry fees? Rotterdam Biergarten will give you big bang for your buck! Free entry, music and good vibes. The only time you’ll need to pull out your card is to pay for your liquid dinner. 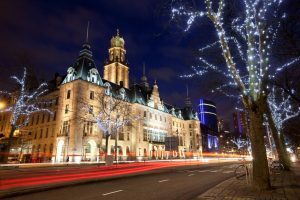 Planning to visit Rotterdam this winter? Add that extra special touch to your stay at The Student Hotel and book a room with us.